Back in 2005, Andrew Niccol (who crafted the brilliant GATTACA) wrote and directed a movie that tragically flew under the radar. 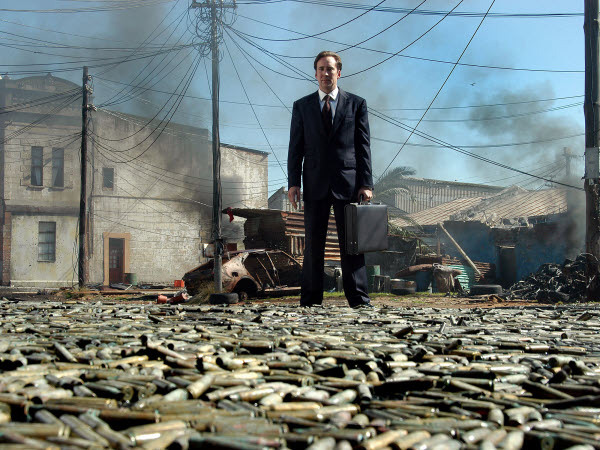 In Lord of War, Nicolas Cage plays real-life arms dealer Yuri Orlav, and the film follows him through the birth, peak, and fade of his decades-long career of providing guns to the warlords of the world. 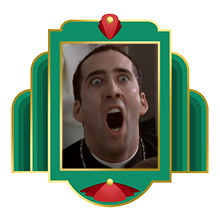 Cage is great as a man who takes pride in his work as he simultaneously avoids allowing himself to think too much about what he’s doing. The film also benefits from the presence of Jared Leto, who plays Orlav’s distant-eyed brother, who is not as deft at life, but who does possess a moral compass that Yuri lacks. Ethan Hawke also pops up here and there as a dogged Interpol agent, who wants very badly to put Yuri out of business, but cannot because it would require dodging the law he is trying to uphold. Niccol’s sly script and deft storytelling give both gravity and black humor to the story, making it good, meaty fun. Adrienne Shelly wrote and directed this small, sweet ensemble romance. Small town diner staff are each exploring their relationships and the compromises we make to deal with the mistakes made along the way. Which sounds WAY heavier than this delightful little film is! Dare I use the dreaded “quirky” to describe the characters and dialogue? Keri Russell is the central character, unhappily married and even more unhappily pregnant, with Nathan Fillion (!!!) as her romantic-sparks-causing OB-GYN. A curmedgeonly Andy Griffith rounds out the cast. Warning: You might want to stock up on some pie before popping this one in the DVD player.